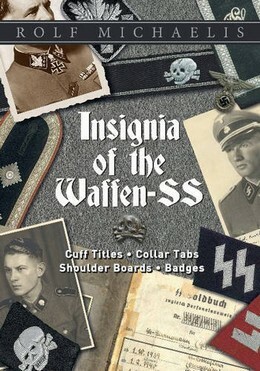 All of the uniform-specific insignia used by the Waffen-SS in World War II are presented in this concise, all-color book. Inclusive are sleeve and cap eagles in their various versions, collar tabs, sleeve shields, and cuff titles, as well as shoulder boards and straps, and rank insignia. Using nearly 300 color photographs, this book shows the scope in insignia the Waffen-SS achieved by war’s end, and how far it deviated from Himmler’s earlier principles as a result of the steadily deteriorating war situation. Some of the rarest insignia shown are those from Waffen-SS units using Armenian, Bosnian, Indian, and Georgian troops. Also included are numerous war-era photos that document the wearing of the various insignia shown.